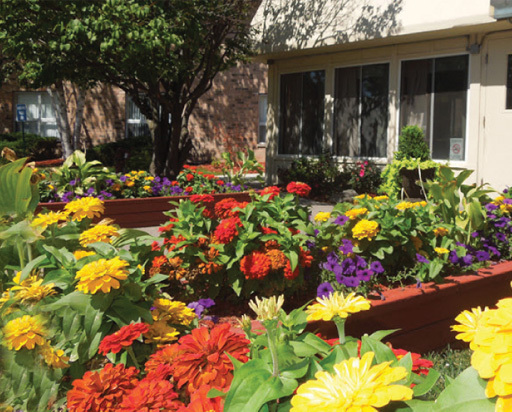 Forest City Rehab is a 213-bed nursing facility providing a variety of services ranging from 24-hour skilled nursing care, individualized therapies, Alzheimer’s/Dementia care, Hospice Care, Respite Care and specialized services. Forest City Rehab is more than just another nursing home. We pride ourselves in our rehabilitation programs, tailored to meet each and every individual residents customized needs. The Joint Commission on Accreditation of Healthcare Organizations is recognized nationwide as a symbol of quality that reflects an organizations commitment to meeting the highest performance standards. By undergoing a comprehensive survey process equal to that which hospitals go through, Forest City Rehab and Nursing has achieved JCAHO accreditation. Our facility has 24-hour, 7 days a week medical and crisis intervention, assessment and admission services. We are licensed by the State of Illinois and are approved for Medicare, Medicaid and many private insurances.